I love this. I have had so many women leader friends talking about this book, but I find myself nervous to read it – afraid of what I’ll learn. I definitely have tension around self-promotion. But I also struggle with the quote you’ve included. The story you’ve told of high school experiences and being encouraged for potential resonates with me. But somewhere along the way, I feel like I “plateaued.” And because I haven’t “done anything noteworthy” (or at least having “promoted it” well), my potential is no longer of interest. Suddenly, I find myself in a place I least expected and I’m wondering how I got here! I would love to hear more of your thoughts as you read through the book. Thank you for sharing! Grateful that you are finding resonance and dissonance as you read my thoughts. You should read the book. It’s worth tackling your fears and wrestling through them. You can do it now, or you can do it later. Those struggles and questions don’t disappear. I get what you mean – that sense of plateauing. And that of losing relevance. I think it happens even faster in our current culture. two- is more direct to the question of being an asian american christian and the tension of humility and self-promotion. Reading your words brought back memories of being the “quiet unassuming Asian guy on campus”. My nick name was shoe-shine boy (from the cartoon “Underdog”). My more boisterous and “self-promoting” classmates got recognized where I mostly was unnoticed. The exception would be in the one to one moments with classmates where I was not “competing” to be heard. 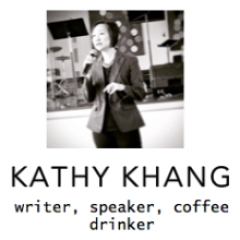 In the Asian American church circles, I came across very differently. I found my place. I find it an interesting self-observation of how recognized I am in the Asian American circles (almost to my embarrassment) and how invisible I was in the mainstream church. I would say that in our current culture, both men and women are finding it difficult to know what being “real” is. Again, my critique would go to the Church. The “world,” as we Christians might say, is faster and louder at painting the pictures and setting the bar, so to speak. The Church often reacts instead of creating a new dialogue and definition. As for the cultural tension, as a woman I never had that place in church. It was always in school, despite being one of the few Asian Americans, male or female, perhaps because of my personality and gifts. I didn’t mind running for class council president. I enjoyed competing in speech. I loved to perform. I didn’t necessarily self-promote as much as I found my place. Unfortunately, that place was not within Church. I found that place in an Asian American parachurch group at Northwestern, wink, wink, but when I tried to re-enter the Korean American 2nd gen church I realized that the rules remained the same – unspoken but clear. Women can lead but only in certain ways. In the end I had an elder tell me that he didn’t like how I talked about what I did in ministry, that I was drawing too much attention to myself. I agree with you. God is in control. However, how can we better equip both men and women to act appropriately? Because in the end, we still need to live out the lives God gave us, and that is where we perpetuate those unjust ways. Thank you! I hope that you’ll join the conversation! Yes, I have constantly felt the tension of feeling that I might need to betray my values in order to make it. It’s especially sad because I think the value is Biblical – serving and giving up power, rather than seeking it. I mean, that is huge motif between Jesus and his disciples, and…the cross. One should never have to betray oneself in order to gain the opportunity to be one’s self, but that’s exactly how it feels to me sometimes. Wow, my first reaction is that those are strong feelings – the potential of needing to betray core values. I agree that hopefully we never have to sacrifice part of ourselves to be able to be ourselves; I don’t think it’s worth it. Your sentiment reminds me of the brokenness of all things. I am uncomfortable with Sandberg’s use of the word power because so far she hasn’t defined it well enough for me. Power for power sake is not my goal. However, I am hopeful there are tangible ways to be a good steward of my gifts, ambitions, all of who I am, including perhaps by better knowing “We hold ourselves back in ways both big and small, by lacking self-confidence, by not raising our hands, and by pulling back when we should be leaning in. We internalize the negative messages we get throughout our lives— the messages that say it’s wrong to be outspoken, aggressive, more powerful than men,” (pg 8) but in the light of the Gospel. Thanks for your comments, Hillary. It is a strong feeling and it’s just really a representation of how much tension I sometimes feel as a minister and a woman who wants to lead. In my perfect world (I think Sandberg talks about this), I would be given opportunity based on merit, deeds done, loyalty and potential demonstrated, etc. I’ve realized this is not the world I live in and so I have to find ways to navigate something that, yes, does from the get go feel like a betrayal of myself in order to find a place where I can simultaneously be myself and a leader. Is there a way to do it with out betraying my core values? I’m banking on that, but the tension is there and it’s slow moving through it. As for your comments about power, I agree. I think Sandberg gave me something to latch on to though when she spoke about needing more women leaders to improve the opportunities for women. Women need women with power to look out for them worldwide. I think this is a kindgom and gospel oriented hope to latch on to.